Bike and Barge Holland with Peek into Germany! This new trip is already booking for 2019. Reserve your place now! Bringing back a popular trip in June! An adventure thorough 4 Dutch Provinces- including an exciting day cycling into Germany. We will venture east through beautiful towns and villages during peek fruit season in the Betuwe Region known as the Orchard of Holland. We'll visit castles and forts, pick our own at organic fruit farms, enjoy town markets, and sample Dutch treats like Apple cake and Pannekoek- all included in your trip price! Our trip starts Saturday at noon when we board our barge/hotel, settle into our cabins, and get our bikes fitted and ready to go. 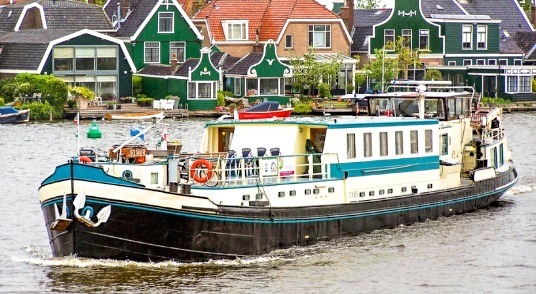 We will sail by boat along the Rhine Canal to the tiny town of Breukelen where we start our cycling along the famous Vecht River. We have entered the Province of Utrecht - a region of centuries-old villages, expanses of flat and watery pastureland punctuated by windmills, castles and dozens of mansions built by Amsterdam merchants as weekend retreats during the 17th and 18th centuries. We'll stop for a tour to a working windmill in the village of Oude Zuilen before heading into the historical center of Utrecht. Following the River Lek, we enter the beautiful town of Wijk Bij Durstede for a visit to the Castle Durstede dating back to 1200. We'll head south to explore the beautiful Dutch landscapes of the Betuwe region- a large fruit producing area known as the Orchard of Holland. We pass many small villages like tiny Buren- an old fortified town from the Middle Ages. A few miles along we visit several organic fruit farms and sample the new crop of delicious Netherland strawberries and cherries. We rest for the night in Tiel-the largest town in the Betuwe and one of the oldest towns of the Netherlands dating back to the ninth century. Tiel once housed a famous jam factory called De Betuwe which has been replaced after its closing with an interesting Jam museum which we'll get to visit on our town walk. We take leave of Tiel passing the castle Wijenburg. Today we enjoy a quiet ride of 20 miles enjoying views from the Waal River dijk. Nijmegen- the oldest town in the Netherlands was the home to the Romans and Emperor Charlemagne who built his castle there by the river. We want to arrive in Nijmegen early to enjoy the historic town center and festive Monday market within walking distance of our boat. We leave Nijmegen today for an ambitious cycling day of 34 miles following the Rhine "Via Romana" roads dating back to the Roman Empire. We come to Milligen, an area of natural beauty situated at the fork of the Rhine and Waal Rivers and on the river bank where the Romans had a large encampment. Just a few miles more, we cross the border into Germany and enter the beautiful Rhine Plain. Here we cycle quiet countryside dotted by ancient villages along an old arm of the Rhine where nature seems to overflow. In the medieval town of Kleve we enjoy lunch and after a guided tour of the wondrous Swan Castle perched on a hillside overlooking the Rhine and Maas Rivers. The "Castle Schwanenberg" was home to the Family Cleves whose daughter Anne was 4th wife of Henry VIII. More beautiful woodlands take us back to Nijmegen for the night. Our ship sails us during breakfast to the town of Heumen where we start our cycling. We will travel westward today along the Maas River which separates the Provinces of Gelderland and North Brabant. The dike affords beautiful shoreline views as we cycle through charming old towns and castle ruins from the Middle Ages. By a tiny canal, the Maas flows into the Waal River. Our destination is Zaltbommel-sitting daintily by the water. First mentioned as "Bomela" in the year 850, Zaltbommel received city rights in 1231. We will take time for a stroll to some of the town's noteable sites including a 15th century almshouse chapel; the medieval Waterpoort; and Market where the town's side streets emanate boasting fine old 16th and 17th century houses. We head north over the Waal River and meander through tiny towns of the western Betuwe- abounding with orchards and moated castles like Castle Waardenburg- a polygonal beauty dating from 1280 and known as the former home of Faust and still haunted to this day. We are heading to Fort Everdingen resting on the Lek River. This imposing fort was built between 1842-1847 as part of the new Dutch Water Line (1629-1940)- an ingenious defense strategy combining fortresses and flooding of low-lying areas to keep enemies at bay. As we follow the Lek westward we reach Vianen- a medieval fortified town located in the polder area De Vijfheerenlanden. Within the canals and city walls, the strict geometric street pattern of the Middle Ages has been preserved. We will take time to visit the beautifully preserved Town Hall (1425/1473) and Great Church (1542), and time permitting, we may even fit in a trip to a working cheese farm a few miles away! 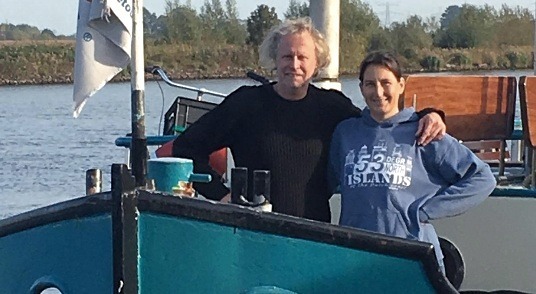 We will sail during breakfast back to Breukelen, where we started our adventure. Today, however, we are not in a hurry and will enjoy the town market before heading north. 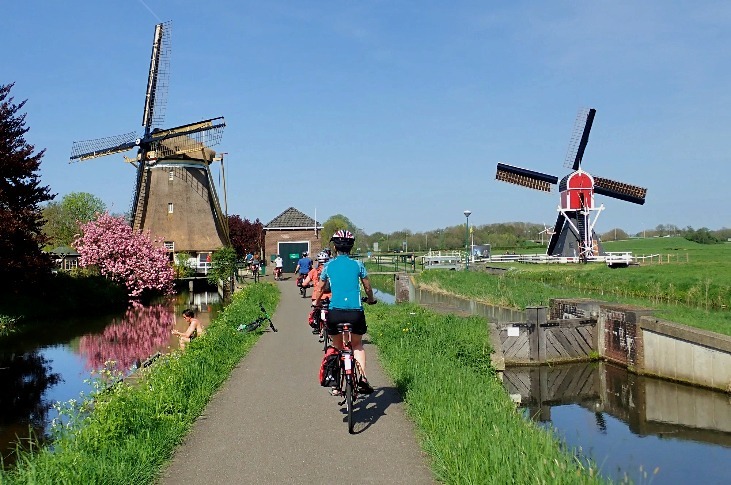 Our cycling explores the vast lakes and protected areas of the old towns on the border of Utrecht and North Holland provinces near the Rhine canal. We will take a break for lunch in Nederhorst Den Berg and enjoy a typical Dutch lunch of Pannekoek- Suzie and Rogerâ€™s treat! We will return to Amsterdam on fun bike paths winding through parks and forests with only a few blocks of city cycling. We celebrate tonight with a special farewell dinner! Day 8: End of a lovely trip! After breakfast we say our goodbyes to friends and crew of the Flora. This trip is advised for someone of good fitness and recreational cycling ability who can enjoy 25-30 plus miles a day on flat to some varied terrain. The ride leader will be averaging a leisurely touring pace and we will have a ride sweep. As with all Bike and Barge trips-there is no support vehicle on our routes. 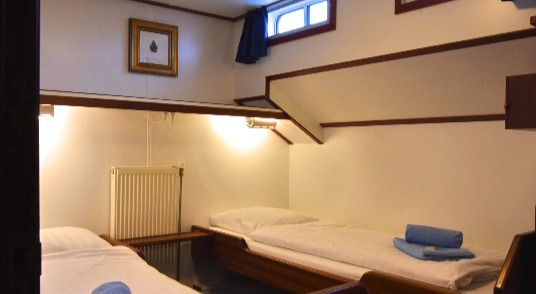 Amsterdam is serviced by Schiphol Airport, located just a few miles from the city center where our boat is located. There is both excellent public transportation and reasonably priced shuttle service available from the airport to the city. We are delighted to host our tour on the Passengership Flora. 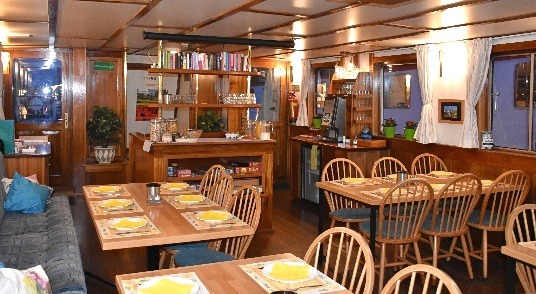 The ship features comfy cabins with private bath, a lovely eating salon and lounging area, and outside deck to enjoy a drink and views of the water. Information about your trip, what to pack, pre-trip transportation and lodging in Amsterdam, traveling abroad, tips on airfare, and other important pre-trip details will be provided in a WELCOME LETTER sent to you when we receive your registration for the trip. Please email Suzie to inquire about openings and with any questions about the tour. We love to hear from you!